Bangladeshis are one of the fastest growing minority groups in the U.S. Detroit is home to the third largest concentration of Bangladeshis, followed by New York and Washington D.C. 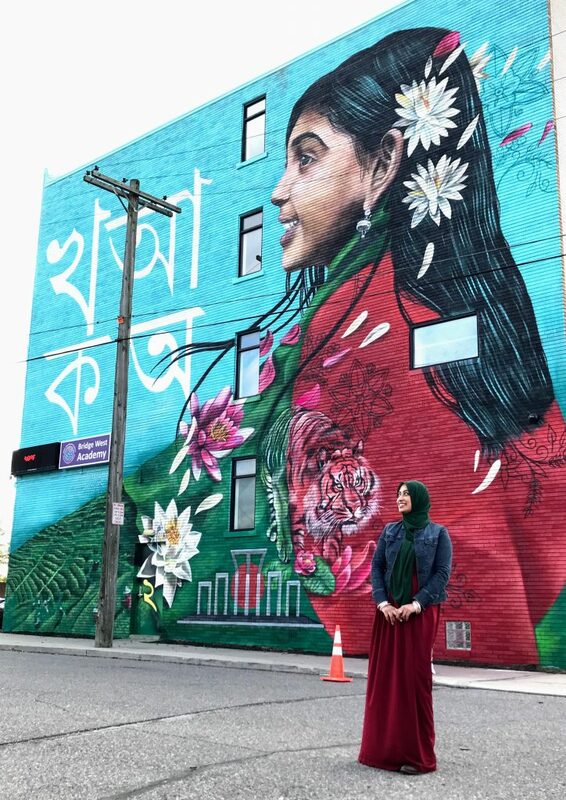 Recently a large mural was placed in Detroit to showcase the Bangladeshi community and commemorate the legacy of a late community member Abu Hanif. As a first generation Bangladeshi American who has grown up in the U.S., the mural honors our past, celebrates our present and provides hope for future generations. I was born in Bangladesh and immigrated to the U.S. with my parents as a two-year-old. My father was providing financial support to his family back home and we struggled as a low-income family. In 2000, our family moved to Hamtramck, Michigan, to join Bangladeshis from New York during the “second migration.” Families moved to the Detroit area for cheaper housing and factory jobs. For my family, this meant that we were able to purchase our first house. Hamtramck is an immigration hub and a starting point for many newcomers. I now have a family of my own and raising my children here as part of the Bangladeshi American community. While we are American, we are also Bangladeshi. This mission to build bridges between the rich history of the Bangladeshi people and the aspirations of the second generation and onwards is the essence of what the Bangladeshi American community here in Hamtramck represents. Bangladeshis are a vital part of American society. Today the Bangladeshi community in Metro Detroit is 15,000 strong. Bangladeshis are entrepreneurs, teachers, engineers, doctors, homemakers and more. Landmarks such as the mural in Detroit are a reminder of our past, anchor for our present and aspiration for our future. 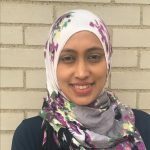 Nargis is a writer who is passionate about community journalism in the Greater Detroit area. 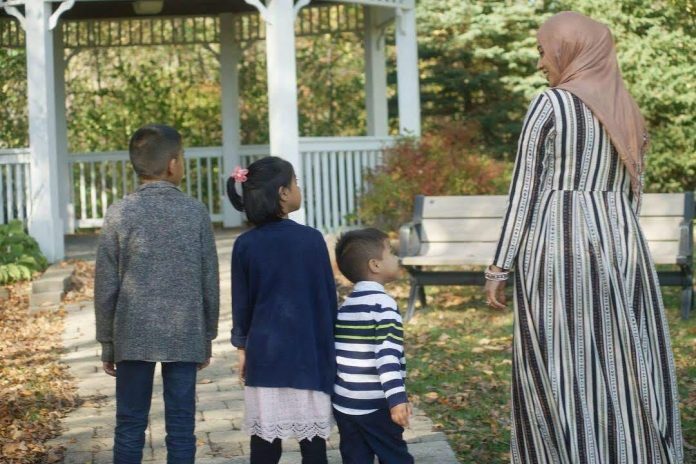 She hopes to give local American Muslims and other minorities a voice in the press.